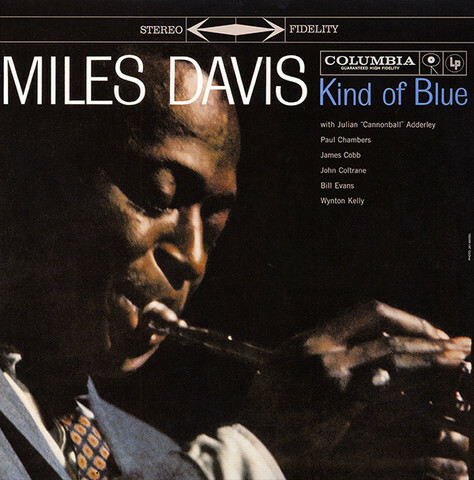 Kind of Blue isn&apos;t merely an artistic highlight for Miles Davis, it&apos;s an album that towers above its peers, a record generally considered as the definitive jazz album. To be reductive, it&apos;s the Citizen Kane of jazz -- an accepted work of greatness that&apos;s innovative and entertaining. That may not mean it&apos;s the greatest jazz album ever made, but it certainly is a universally acknowledged standard of excellence. Why does Kind of Blue posses such a mystique? Perhaps it&apos;s that this music never flaunts its genius. It lures listeners in with the slow, luxurious bassline and gentle piano chords of "So What." From that moment on, the record never really changes pace -- each tune has a similar relaxed feel, as the music flows easily. Yet Kind of Blue is more than easy listening. It&apos;s the pinnacle of modal jazz -- tonality and solos build from chords, not the overall key, giving the music a subtly shifting quality. All of this doesn&apos;t quite explain why seasoned jazz fans return to this record even after they&apos;ve memorized every nuance. They return because this is an exceptional band - Miles, Coltrane, Bill Evans, Cannonball Adderly, Paul Chambers, Jimmy Cobb, and Wynton Kelly -- one of the greatest in history, playing at the peak of its power. As Evans said in the original liner notes for the record, the band did not play through any of these pieces prior to recording. Davis laid out the themes and chords before the tape rolled, and then the band improvised. The end results were wondrous, filled with performances that still crackle with vitality. Few albums of any genre manage to work on so many different levels, but Kind of Blue does. It can be played as background music, yet it amply rewards close listening. It is advanced music that is extraordinarily enjoyable. It may be a stretch to say that if you don&apos;t like Kind of Blue, you don&apos;t like jazz -- but it&apos;s hard to imagine it as anything other than a cornerstone of any jazz collection.